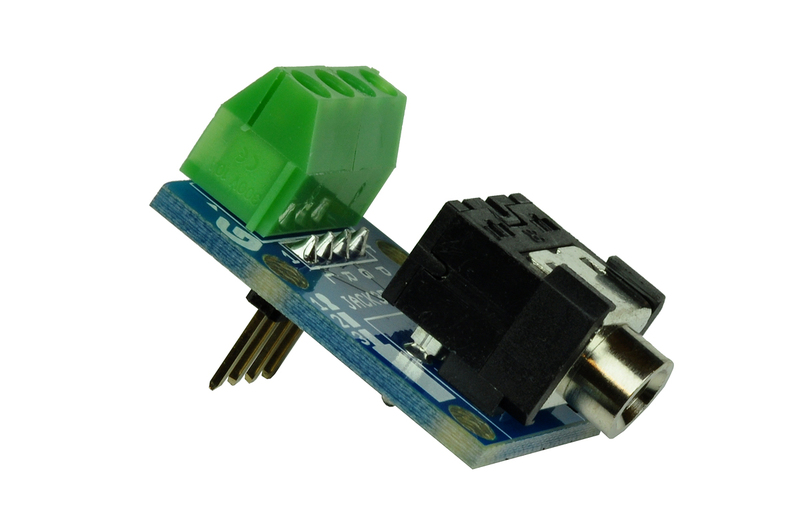 Looking for PICAXE programmer breakout board? 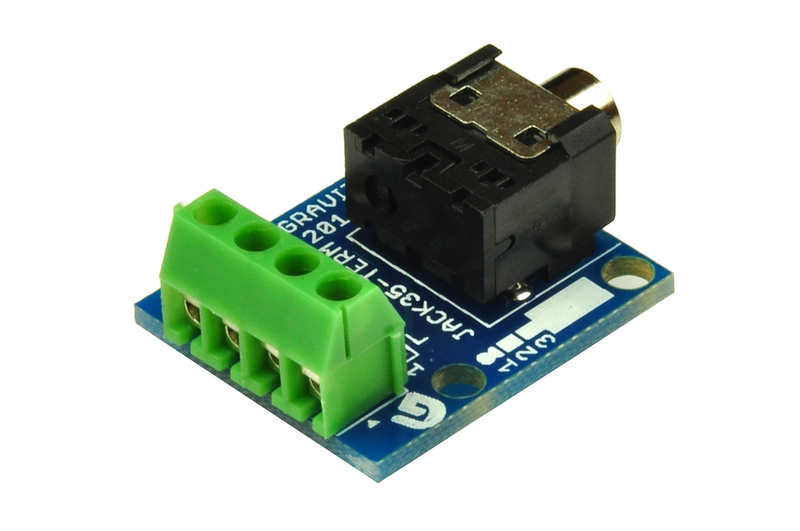 This board breakout PICAXE programmer pins for ease of use. 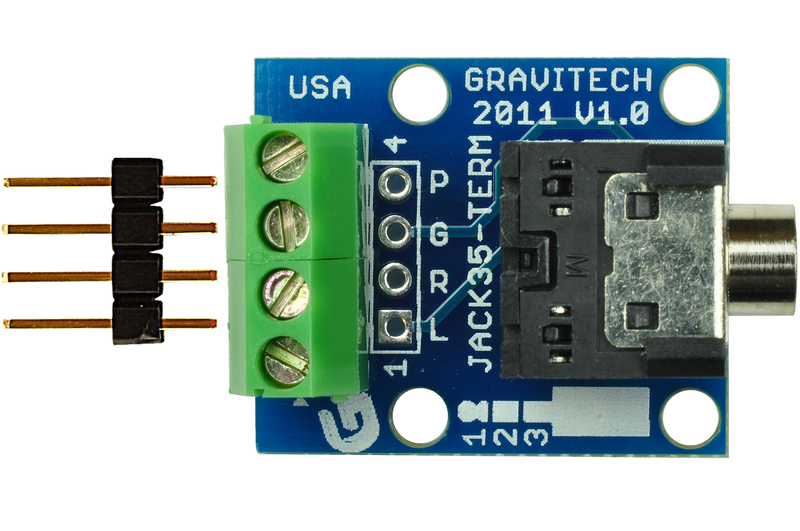 This Stereo Jack 3.5mm breakout board bring all 4 pins of a 3.5mm stereo jack out to screw terminal blocks for easy connection and prototyping work (1.left, 2. right, 3. ground, 4. jack present detection). The connections are also available via 0.1" header pins. We've included a male header strip (see picture#3 below). 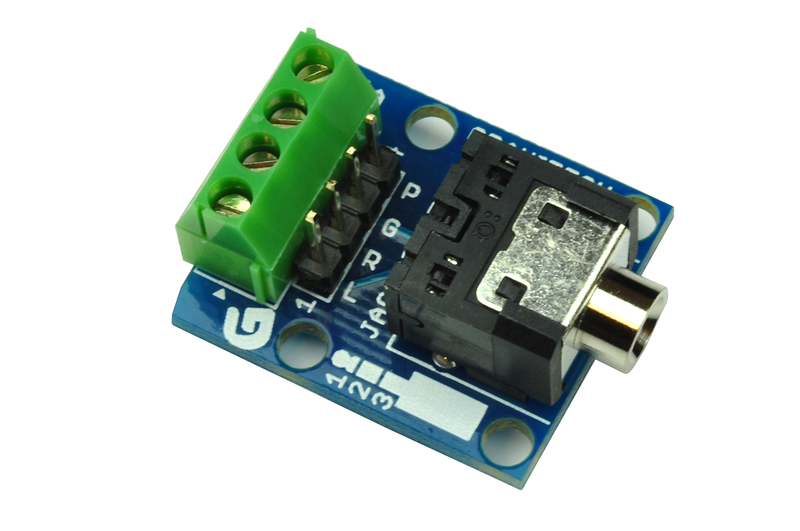 You can solder it on the top and use with these female to male jumper wires for breadboard connections (see picture#5 below). 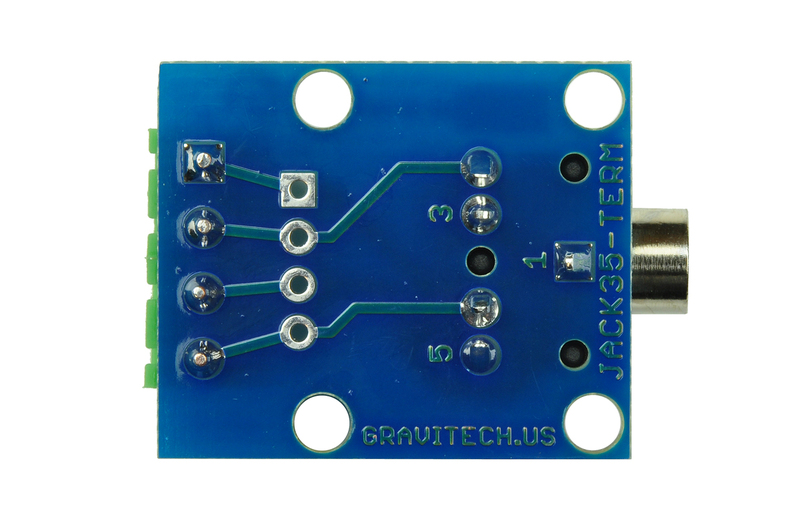 Or solder it on the bottom and use it directly on the breadboad (see picture#6&7 below). 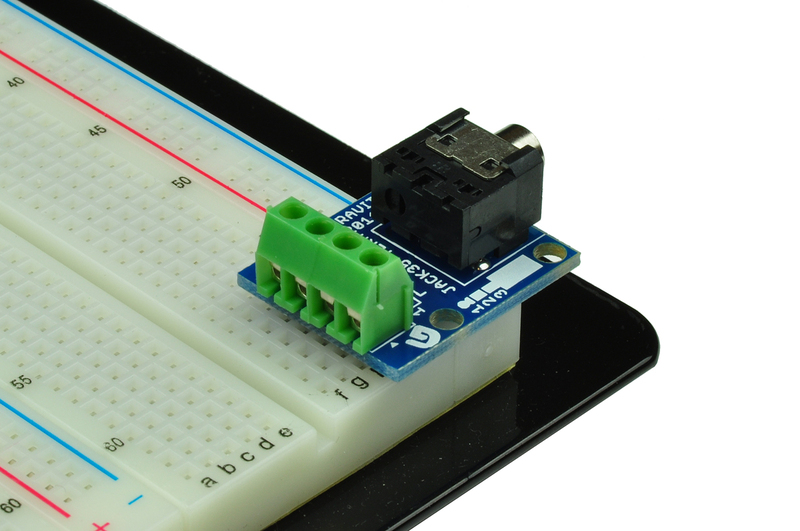 This break out board is perfect for experimentation and prototype work, as well as for use in the educational laboratory. It is well-suited for work with the headphones, and any other device that uses an 3.5mm jack connector (i.e. PICAXE programmer). 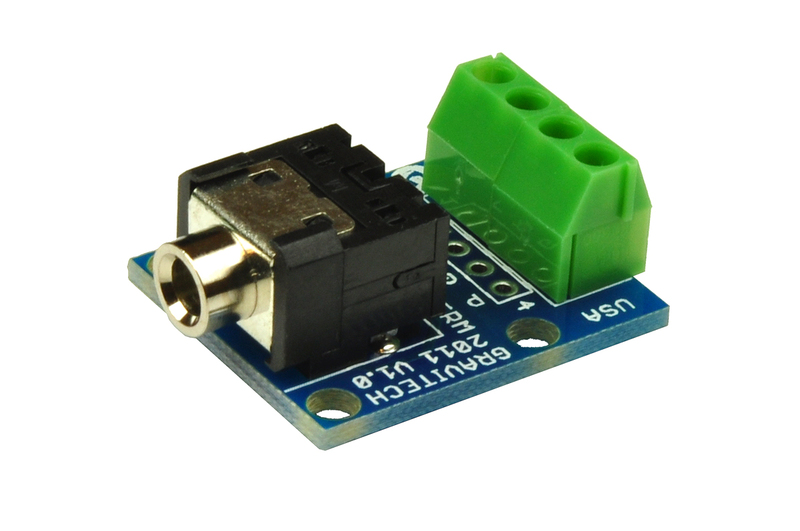 A breakout board is sometimes referred to as a "transition module", "terminal board", or "interface module".